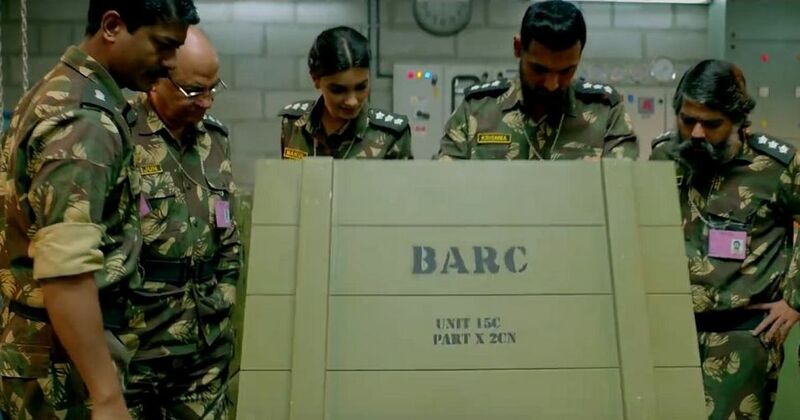 ‘Parmanu’, starring John Abraham, celebrates the 1998 Pokhran-II tests. Other films have worked hard to protect India from obliteration. Abraham has been engaged in an ugly spat with co-producer KriArj Entertainment over alleged unpaid fees and final control over the completed movie. Parmanu was supposed to have been released in December 2017, and its new date brings its closer to the twentieth anniversary of the test explosions. Parmanu The Story of Pokhran (2018). A second production that also focuses on a nuclear bomb will be available from July 6. The Netflix production Sacred Games, directed by Vikramaditya Motwane and Anurag Kashyap, is an adaptation of Vikram Chandra’s novel of the same name. Mumbai police officer Sartaj Singh (played by Saif Ali Khan in the series) investigates the inexplicable suicide of Mumbai crime lord Ganesh Gaitonde (Nawazuddn Siddiqui), and unravels in the process a conspiracy involving the Research and Analysis Wing, crooked godmen, politicians, a high-class madam, and a dirty nuclear bomb. The white bunker that Gaitonde builds in Mumbai to escape what he thinks is coming becomes a symbol of paranoia about nuclear annihilation. Nuclear technology has been at the heart of several Indian films. In them, the n-bomb has always been in danger of falling into enemy hands and being turned on the country’s citizens as they go about their business. Deepak Bahry’s Agent Vinod (1977) was part of a set of “formula films” in the ’70s. These movies typically featured patriotic as well as treacherous white-coated scientists, dashing heroes, villains plotting India’s demise in foreign climes, and the all-important formula (invariably pronounced “pharmula”) that had the power to alter the course of humanity. Agent Vinod (1977). Image credit: Rajshri Productions. In Agent Vinod, a scientist has invented a groundbreaking technology that will neutralise atom and hydrogen bombs. The titular hero swings into action after the scientist is kidnapped by Madanlal (Iftekhar) and JD (Pinchoo Kapoor). The formula exists only on paper, and there are no blinking devices that need to be disarmed just in time for the mandatory happy ending. Sriram Raghavan’s Agent Vinod (2012) shared a few elements with its namesake. Snatches of the song Aasman Mein Hai Khuda waft over Delhi as Indian intelligence agents scramble to locate a dirty bomb that has slipped into the Delhi. Vinod (Saif Ali Khan) manages to find the device, and gets set to bury it along with himself in the belly of an abandoned mine. The timely intervention of Pakistani spy Irum (Kareena Kapoor) saves Vinod and Delhi from being pulverised. While Bahry’s Agent Vinod is about a hypothetical weapon, in Rajasekhar’s Tamil movie Vikram (1986), India has built an inter-continental ballistic missile, called Agni Putra. The missile is stolen en route to Sriharikota by the gangster Sugirthraja (Sathyaraj) and spirited away to a fictional country called Salamia, which could be anywhere between West Asia and Africa. Agent Vikram (Kamal Haasan) gets hot on Sugirthraja’s trail even as he declares, “I don’t understand science.” He doesn’t need to – all that matters is that Agni Putra’s cone-shaped tip is pointing towards India. Vikram succeeds in his mission with the help of a female scientist (Lizy) and the princess of Salamia (Dimple Kapadia). Unable to disarm the rocket, he sends it crashing into the sea, disturbing nothing more than marine life. A year after Vikram, India was under threat yet again, this time from four ICBMs commandeered by the dastardly Mogambo (Amrish Puri). Shekhar Kapur’s Mr India (1987) features Mogambo, the archetypal supervillain who seeks nothing less than world dominance. Mogambo also wants a bracelet that makes its wearer invisible. 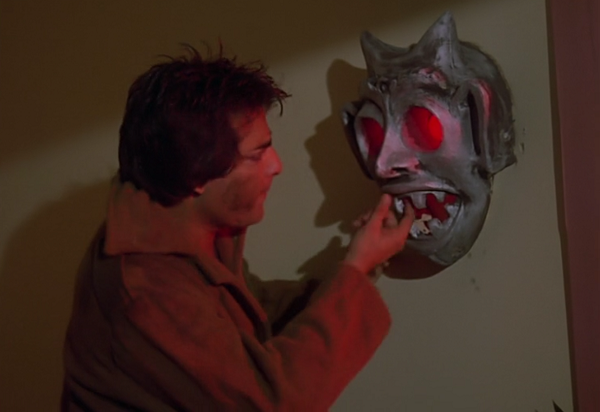 When he fails to extract the bracelet from the hero Arun (Anil Kapoor), Mogambo staggers towards a console of blinking lights and buttons and pulls the lever that activates the rockets. The ICBMs fortunately self-destruct seconds before the closing credits. Mr India (1987). Image credit: Boney Kapoor Productions. The men who plotted against India in the ’70s and ’80s were ideology-free cartoonish characters modelled on Bond arch-villains. Although the fear of foreign powers undermining the country rose after the Indo-China war of 1962, the movie villains did not represent a particular nationality or religion. Their desire to destroy India was as abstract as it was absolute. They were so vaguely defined that filmmakers could not be accused of playing identity politics or targetting a community or a country. The niceties ended in the 2000s. The enemy of the state acquired a face, and a faith, when the threat of nuclear war over the Indian subcontinent became a reality with heightening tensions between India and Pakistan. The deepening of the Kashmir struggle, Pakistan’s well-developed nuclear programme, and the bogey of an “Islamic bomb” fuelled the imagination of filmmakers and gave them an adversary who could finally be named, shamed, and destroyed. This adversary was nearly always Muslim, and was either a traitor helping Pakistan or a Pakistani terrorist who had burrowed into India to destroy it from within. Perhaps no film has deployed ultranationalism in the service of cinema more forcefully than The Hero: Love Story of a Spy (2003). 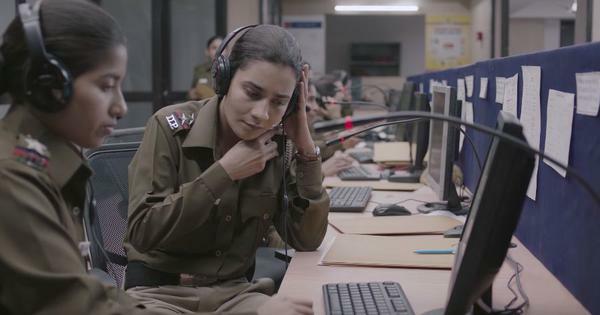 Shrill in its jingoism and sweeping in its hatred for Pakistan and the Kashmir movement, Anil Sharma’s movie revolves around super-spy Arun (Sunny Deol), who is adept at intelligence gathering, disguises, and physical courage. His target is Inter-Services Intelligence chief Isaq Khan (Amrish Puri), who tells a bunch of terrorists that while Pakistan cannot openly give them nuclear weaponry, it can certainly help them steal it. Sunny Deol in The Hero: Love Story of a Spy (2003). Image credit: Time Movies. “Who made you ISI chief?” is a taunt Arun frequently hurls at Isaq, and yet, Isaq succeeds in recruiting a Muslim businessman in Canada to help him build his nuclear arsenal. Only Arun stands between Isaq’s Operation Nishan and the destruction of India. Arun passes himself off as a nuclear scientist to hoodwink Isaq, and, in the final confrontation, shoves a device filled with fluorescent-green liquid into Isaq’s mouth. Arun takes two years to recover from the fallout. Those who endured The Hero are still nursing their wounds. The Hero: Love Story of a Spy (2003). Image credit: Time Movies. A counterpoint to The Hero’s shrillness was provided by a movie that was never released in India because of censorship. It is hardly surprising that Partho Sen-Gupta’s Hava Aney Dey (2004) upset the Central Board of Film Certification. The Mumbai-set movie has profanity, love-making, a scene of alcohol consumption on a dry day, and the suggestion that the nuclear race between India and Pakistan could only cause grief. No, the BJP type replies. It is cold in Kashmir. No hero springs forward to prevent the nuclear button from being pressed. India brings its troubles upon itself, and by deciding to nuke Pakistan, sets itself up for obliteration too. The general pair of paranoia that hangs over Mumbai in Hava Aney Dey also finds its way into Chandra’s Sacred Games, which is set in the early 2000s. Chandra’s twinning of a cops-versus-gangster yarn with the threat of atomic apocalypse is reminiscent of the film noir classic Kiss Me Deadly. Robert Aldrich’s 1955 masterpiece stars Ralph Meeker as a ruthless private investigator on the trail of what his girlfriend Velda (Maxine Cooper) calls “the great whatsit”. It begins when Meeker’s Mike Hammer gives a lift to a woman wearing nothing but a trenchcoat on a deserted highway. “Remember me”, she implores him before being tortured to death. The apocalyptic climax provides an unforgettable metaphor for the fear of nuclear war that characterised the Cold War era. The crimes of gangsters, gamblers and businessmen are eclipsed by the bigger game being waged by governments. The most fitting riposte to nuclear paranoia and the movies it has inspired is Pankaj Parashar’s brilliant cult comedy Peecha Karro (1983). A truly inspired and utterly zany send-up of the formula films, Peecha Karro revolves around a possibly rogue Army brigadier (Amjad Khan), his reluctantly heroic son-in-law (Farooque Shaikh), a pair of incompetent detectives inspired by Thomson and Thompson from the Tintin comics (Ravi Baswani and Satish Shah), and arch-villain Boss No. 1 (Anupam Kher). The nonsensical plot includes spoofs of Hindi film songs and welcome jabs at fake nationalism. Lines such as “The national anthem is playing! The country is calling us!” would never pass censor scrutiny today. Nor would the scene in which Shaikh’s character Vijay is confronted by his conscience. Vijay leaps to the rescue. India is saved, yet again, only to die another day, in another movie.